We develop and analyze a distributed space-frequency block code-orthogonal frequency division multiplexing protocol for cooperative communications in 802.11 networks. Space frequency block codes (SFBC) are spread over OFDM subcarriers instead of OFDM symbols to compensate for the small coherence time. Medium access control (MAC) layer packet retransmission limit has been used as an actuator for transmit cooperative diversity initialization. Transmit diversity is provided by the relays in close proximity to source node. Closed form expressions are obtained for packet error rate (PER) and average delay for the proposed scheme in Nakagami-m fading channels. This cooperative scheme achieves lower signal-to-noise ratio (SNR) values for desired packet error rate and markedly improves the average delay per packet compared to the direct transmissions at low SNR regime. 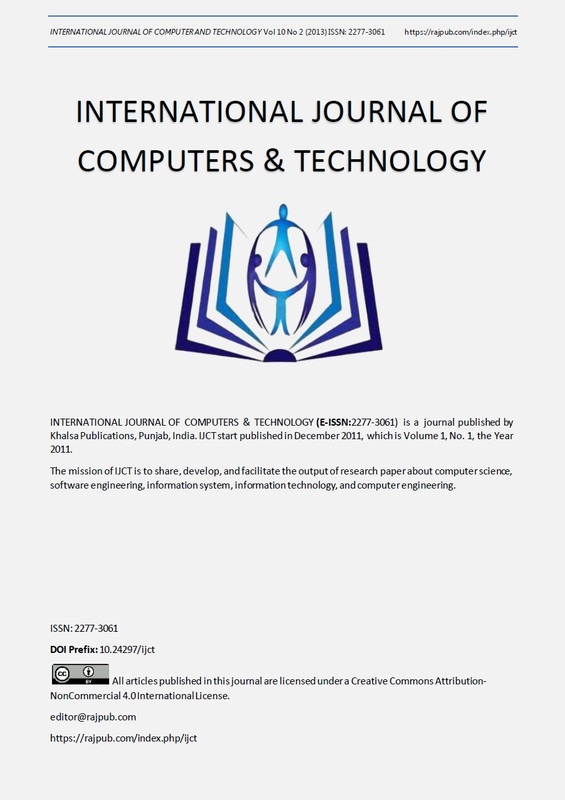 Finally, the results of computer simulations are included to demonstrate the efficacy of the proposed scheme and to verify the accuracy of analytical expressions. J. N. Laneman, D. N. C. Tse, and G. W.Wornell, â€œCooperative diversity in wireless networks: efficient protocols and outage behavior,â€ IEEE Trans. Inform. Theory. vol. 50, pp.3062-3080, Dec. 2004. B. Zhao and M. C. Valenti, â€œSome new adaptive protocols for the wireless relay channel,â€ in Proc. Allerton Conf. Commun., Control, Comput.,Allerton, IL, Oct. 2003. A.S. Ibrahim, A.K. Sadek, W. Su, and K.J.R. Liu. Cooperative communications with relay selection: when to cooperate and whom to cooperate with? IEEE Transactions on Wireless Communications, 7(7):2814â€“2827, July 2008. L. Sun, T. Zhang, L. Lu, and H. Niu. Cooperative communications with relay selection in wireless sensor networks. IEEE Trans. on Consumer Electronics, 55(2):513â€“517, May 2009. J.L. Vicario, A. Bel, J.A. Lopez-Salcedo, and G. Seco. Opportunistic relay selection with outdated CSI: Outage probability and diversity analysis. IEEE Transactions on Wireless Communications, 8(6):2872â€“2876, June 2009. F. Xu, F.C.M. Lau, Q.F. Zhou, and D-W. Yue. Outage performance of cooperative communication systems using opportunistic relaying and selection combining receiver. IEEE Signal Processing Letters, 16(2):113â€“116, April 2009. A. Sendonaris, E. Erkip, and B. Aazhang. User cooperation diversity (parts I,II). IEEE Transactions on Communications, 51(11):1927â€“1948, November 2003. T.E. Hunter and A. Nosratinia. Diversity through coded cooperation. IEEE Transactions on Wireless Communications, 5(2):283â€“289, February 2006. P. Elia, K. Vinodh, M. Anand, and P.V. Kumar. D-MG tradeoff and optimal codes for a class of AF and DF cooperative communication protocols. IEEE Transactions on Information Theory, 55(7):3161â€“3185, July 2009. P. Liu et al., â€œCoopMAC: A Cooperative MAC for Wireless LANs,â€ IEEE JSAC, vol. 25, no. 2, Feb. 2007, pp.340â€“54. H, Zhu and G. Cao, â€œrDCF: A Relay-Enabled Medium Access Control Protocol for Wireless Ad Hoc Networks,â€ IEEE Trans. Mobile Comp., vol. 5, no. 9, Sept. 2006, pp. 1201â€“14. G. Jakllari et al., â€œA Framework for Distributed Spatio-Temporal Communications in Mobile Ad Hoc Networks,â€ Proc. IEEE INFOCOM, 2006. H. Shan et al., â€œCross-Layer Cooperative Triple Busy Tone Multiple Access for Wireless Networks,â€ Proc. IEEE GLOBECOM, 2008. B. Zhao and M. C. Valenti, â€œPractical Relay Networks: A Generalization of Hybrid-ARQ,â€ IEEE JSAC, vol. 23, no.1, Jan. 2005, pp. 7â€“18. M. Dianati et al., â€œA Node Cooperative ARQ Scheme for Wireless Ad Hoc Networks,â€ IEEE Trans. Vehic. Tech., vol. 55, no. 3, May 2006, pp. 1032â€“44. A. Bletsas et al., â€œA Simple Cooperative Diversity Method Based on Network Path Selection,â€ IEEE JSAC, vol. 24, no. 3, Mar. 2006, pp. 659â€“72. Oh-Soon Shin, M. Chan, H.T. Kung, and Vahid Tarokh, â€œDesign of an OFDM Cooperative Space-Time Diversity System,â€ IEEE Trans. On Veh. Technology, Vol. 56, No.4, July 2007. Hyundong Shin Jae Hong Lee ,â€ On the error probability of binary and M-ary signals in Nakagami-m fading channelsâ€ , IEEE Trans. on Communications, Vol.52, No.4, April 2004. A. Erdelyi, Higher Transcendental Functions. New York: McGraw-Hill, 1953, vol. 1. Gradsheteyn, I.S., and Ryzhik, I.M. : â€˜Table of integrals, series, and productsâ€™ Academic press, New York, Sixth Edition 2000.